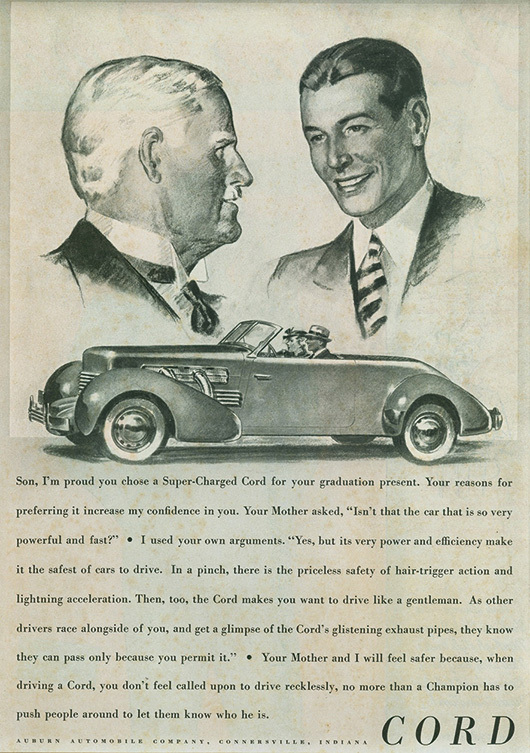 The Cord Automobile Company was the creation of American entrepreneur and transport mogul Erret Lobban Cord. Like so many automotive industrialists of the time the mechanically-minded E. L. Cord had been a successful racing driver and car salesman during the automobile’s early years of the 1910s and early ‘20s. By 1924 his reputation was such that he was approached with the offer of running the ailing Auburn Automobile Company (which later, under Cord’s control, would produce the devastatingly handsome 851 ‘Boat-tail’ Speedster). Cord went one step further and by the following year he had bought Auburn outright. 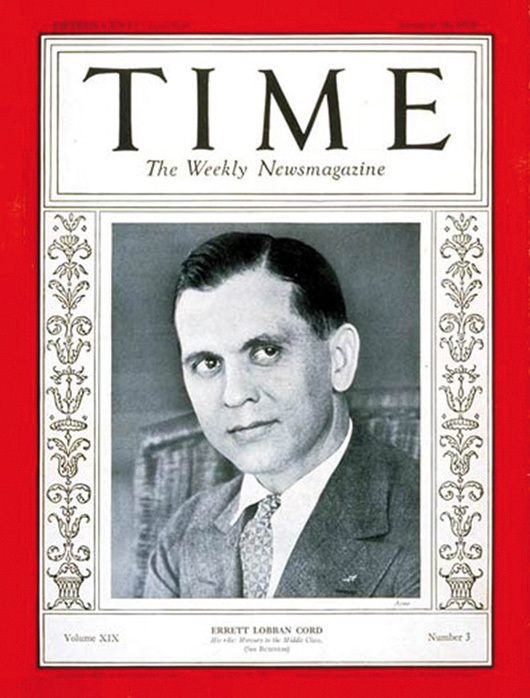 Another year later, in October 1926, he also took over the bankrupt Duesenberg Motors Corporation, thereby becoming the owner of two brands synonymous with luxury car travel in the ‘20s and ‘30s. The first car to carry the Cord nameplate was built in 1929 and was, rather unimaginatively, called the L-29. Intended to sit between the mid-range Auburns and the luxury Duesenbergs, the L-29 was not without its problems – being underpowered and overweight among other things – but its handling was reportedly excellent, its design much admired (particularly by Chrysler who apparently pinched some of the styling cues for their 1930 models!) and most importantly it pioneered a technical innovation in motor car design that can still be seen everywhere today. For this ground-breaking automobile boasted one of the first successful applications of front-wheel drive on a passenger car anywhere in the world. At a time when every other car in the States was driven from the rear the L-29 was the first such car in America ever and, with the exception of later Cords (and the abortive Ruxton marque of 1930), front-wheel drive would not be seen again on a U.S. car until the 1966 Oldsmobile Toronado almost 40 years later. The Wall Street Crash of 1929 was to affect Cord as much as any of the luxury car manufacturers and the L-29 was produced for only three short years until 1932, with just 4,400 built. The Cord brand was to lie dormant for almost four more years before its revival on what would become its most remarkable vehicle – the 810. 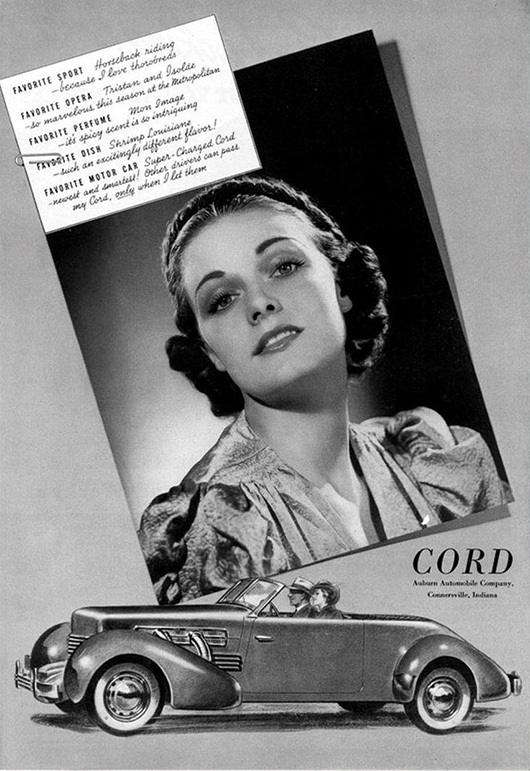 By 1935 E. L. Cord’s other brands were selling successfully enough for him to consider bringing back the make that bore his name. Duesenberg’s luxurious Model J was proving popular among the Hollywood set (including Gary Cooper and Clark Gable, among others) as well as national and international dignitaries and the Auburn Speedster was also finding similar buyers. Cord felt that there was again a gap between those two marques for a new car to fill and began work on what was initially planned to be a “baby Duesenberg”. However it was soon felt that a smaller, cheaper Duesenberg would only devalue the brand and so the Cord nameplate was resurrected instead. Like its predecessor, the Cord 810 was another innovative design. E. L. Cord once again went for front-wheel drive – not because of its mechanical attributes but rather for the design opportunities it would provide. The job of styling the 810 went to an up-and-coming young designer named Gordon M. Buehrig, who had already proved his worth by penning the lines of the Auburn Speedster the previous year. With the front-wheel drive layout eliminating the need for a driveshaft and transmission tunnel to the rear, Buehrig was able to design the 810 to sit so low that it could do without running boards; he also had the innovative idea of concealing the door hinges inside the doors to help give those beautifully smooth, uninterrupted lines. 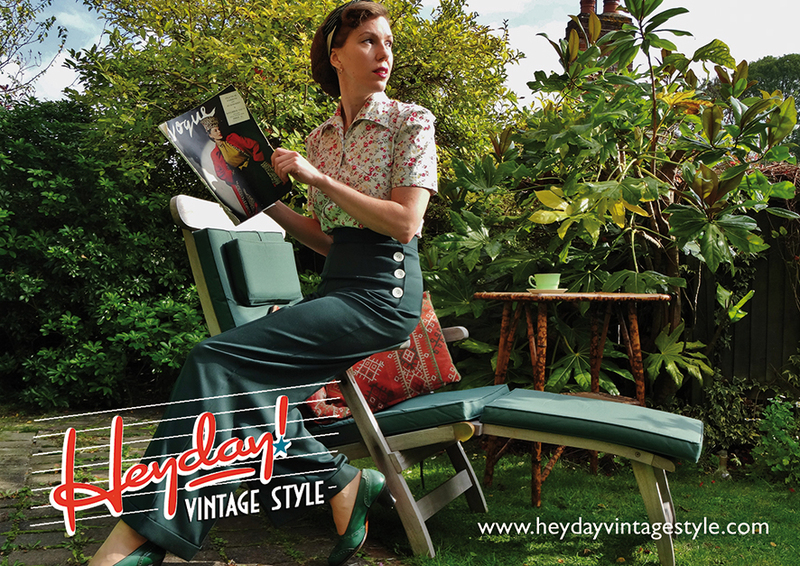 The pièce de résistance style-wise was, fittingly, at the front of the car. In a stroke of genius, which would go on to feature in various car designs for the next 60 years, Buehrig concealed the headlights within curvaceous pontoon fenders thus making the Cord 810 the first car anywhere in the world with retractable ‘pop-up’ headlights. As a cost-cutting measure that had E. L. Cord written all over it, the 810’s headlights had in a previous life been used as landing lights in a small aircraft made by Stinson – another company in the Cord empire. The mechanisms for retracting the headlights were operated manually by two hand cranks inside the car, one either side of the wonderful aeroplane-inspired, engine-turned aluminium dashboard. Other inspired cost-saving methods included making the front and rear doors on the four-door sedans symmetrical so that only one set of pressing dies needed to be used. Yet more pioneering features included electrically-operated variable-speed windscreen wipers – which must have seemed fantastic at a time when you were often lucky to get any wiper at all and then mostly hand-operated – plus a radio as standard, an offering that would not be seen again for another 20 years. Topping this all off was Buehrig’s own idea of a bonnet and grille the likes of which had never been seen on a motor car before. With the atypical grille louvered horizontally and wrapped around the long, rectangular bonnet (containing a 4.7-litre V8 from Lycoming Engines – then another Cord subsidiary – producing a heady 125bhp), it is perhaps not too surprising that the 810 would be forever nicknamed ‘Old Coffin Nose’. Thus it was that the Cord 810 prototype made its debut at the New York Motor Show in November 1935, where it promptly caused an absolute sensation (and quite right too!). Show-goers were so dazzled by this stunning piece of Art Deco-on-wheels that some apparently stood on the bumpers of other exhibits just to get a look, so deep were the crowds around the Cord stand! 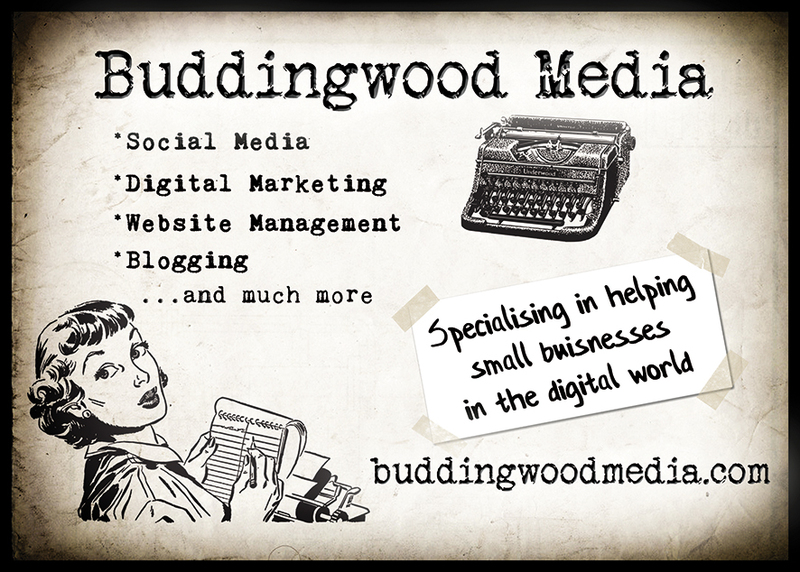 (I can’t imagine that went down well with its competitors, can you?!) The bodystyles offered included the evocatively named Beverly and Westchester four-door saloons, plus a two-door Sportsman Convertible and a four-seat Phaeton Convertible with hidden folding roofs (another industry first) – all of them absolute beauties. Despite a projected starting price of $1,995 (around $80,000/£55,000 in today’s money) E. L. Cord took many orders that day – but it was from then on that the dream began to unravel. Cord planned to produce 1,000 810s a month in the Indiana factory and promised a delivery date of 25th December for the first cars – the ultimate Christmas present! But things soon started to go wrong – the 810’s advanced mechanicals proved to be so advanced that they were not fully prepared and reliable by the Christmas deadline. In particular the futuristic semi-automatic transmission was causing big headaches by constantly jumping out of gear. Christmas Day came and went, and no-one got a new Cord. It was not until February 1936 that the first 810s were delivered to their new owners, while in New York they weren’t available until April. Even then the mechanical problems that plagued the car had still not been fully eliminated, with owners continuing to report trouble with the gearbox, as well as fuel feed issues and overheating. 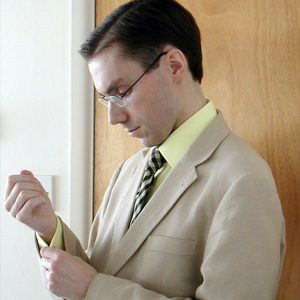 Many people still admired the sleek new Cord but these unfortunate teething problems gave them pause for thought. Demand was therefore not as high as E. L. Cord had predicted, leading many dealers to abandon the brand and thus creating a vicious circle of decline. At the end of 1936, Cord had managed to sell only 1,174 cars in the whole year. For 1937 Cord attempted to renew interest in the brand by upgrading the 810 and renaming it the 812 (including a lot of unsold 1936 stock!). The early reliability problems had been rectified but the biggest update came in the form of an optional supercharger, pushing the engine power up to a remarkable 170bhp – good for a top speed of 110mph! The addition of chrome-plated exhaust pipes to the sides of the ‘coffin-nose’ bonnet completed the effect but, even with the patronage of famous movie stars like Clark Gable and Vivien Leigh, it was too little too late. Cord continued its slide into oblivion through 1937, until August when the 2,320th and final example rolled off the Connersville production line. 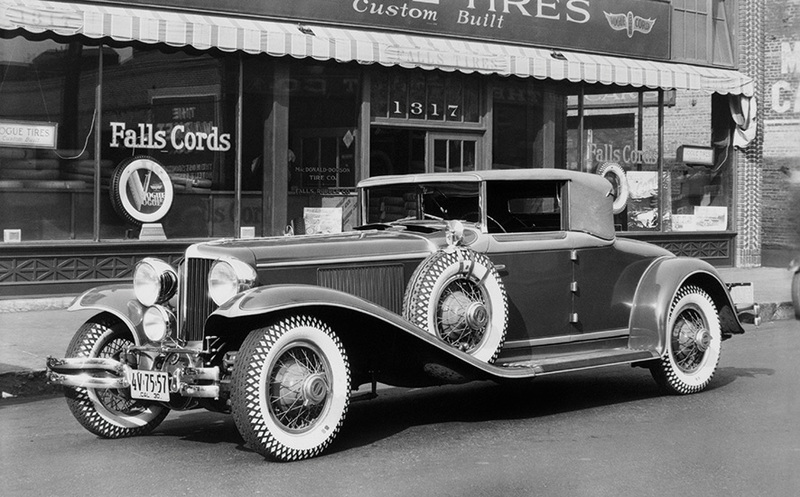 The demise of Cord signalled the death knell for the great 1930s American motoring triumvirate that was Auburn-Cord-Duesenberg. The Auburn brand had already ceased production at the end of 1935 so that the company’s resources could be focused on the doomed 810; Duesenberg also folded by the close of 1937 amid continuing struggles with the effects of the Depression. 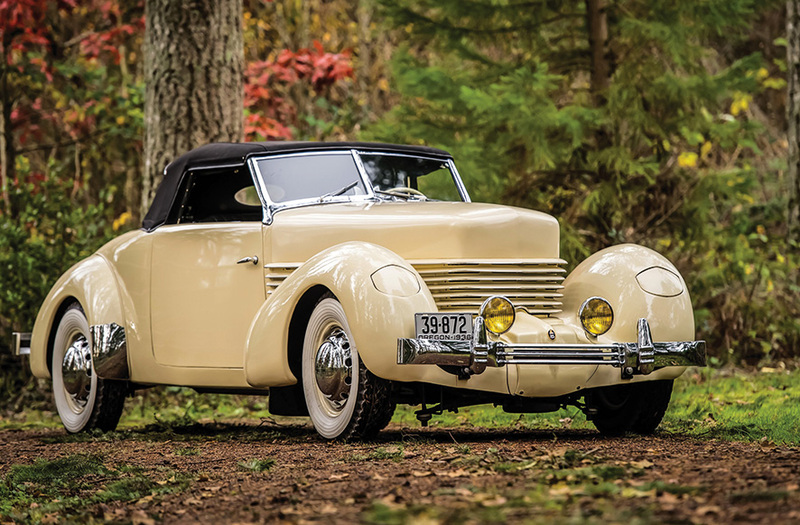 The remnants of E. L. Cord’s empire were subsequently sold to the Aviation Corporation who in 1940 licensed the body dies of the 810 to another couple of struggling car manufacturers, Graham-Paige and Hupmobile. The Graham Hollywood and Hupp Skylark were a joint venture between the two companies, using the basic bodystyle of the Cord 810 sedan. However unlike the futuristic 810 these cars were boringly conventional, with the standard rear-wheel drive of the time, a wheezy 120bhp in-line 6-cylinder engine and normal external headlights instead of the Cord’s ultramodern retractable types. 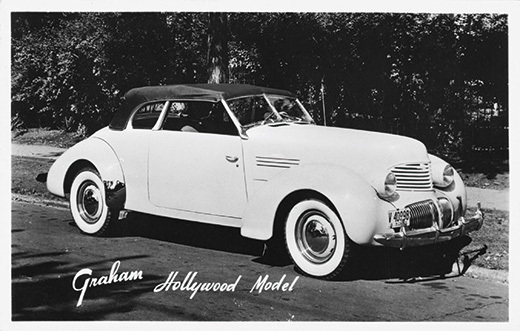 Unsurprisingly neither car was a success – Hupmobile closed down altogether that same year while the Graham Hollywood lasted only until 1941; less than 2,000 cars were sold in total. 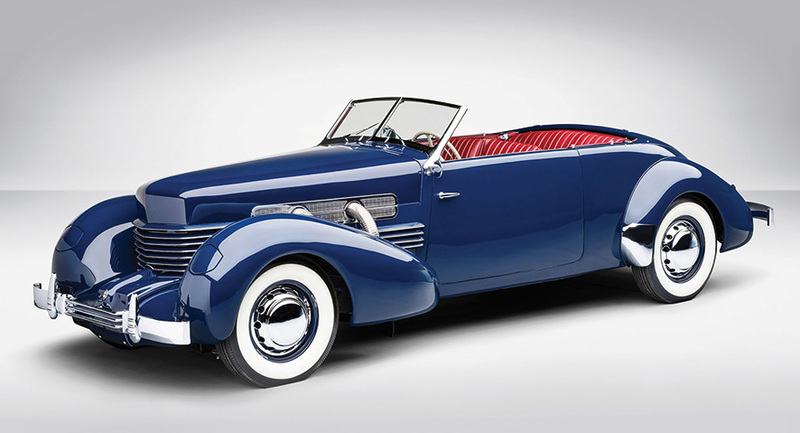 Until their untimely demise Auburn, Cord and Duesenberg between them produced some of arguably the best looking cars of the decade – if not the century in the 810’s case. No other car so perfectly captures the 1930s aesthetic of Art Deco-Streamline Moderne and the glitz and glamour that such designs continue to evoke. For that reason alone it is in my book the most beautiful piece of 20th century automotive design not only in America, but the world!